The long light of summer leaves my little boy anxious. When you’re six, no matter how tired you might be from summer days spent playing, shooting arrows, finding treasure and counting bugs, heading to bed before the sun sinks below the mountains will always feel deeply and fundamentally unfair. So when 8:00 rolls around each evening, my son and I snuggle together in his bed. I read a story. He reads a story. Sometime we share poetry (he’s partial to William Blake, while I’m a fan of Langston Hughes’ Sweet and Sour Animal Book). We sing songs. We talk about the day: what we loved, what we learned, how we gave, what we could have done differently. In winter, this routine is usually enough and he says to me, “I’m ready to sleep now.” Then I head to bed where I lay with my husband and finish a bit of work before nodding off. In summer, though, my little boy struggles. He’s wild and unwieldy, and just can’t settle in. So I make him this tea – and serve it in a little demitasse with a generous spoonful of honey and a bit of cream or milk. He calls it “that tea that calms me.” Perhaps it’s the herbs and spices working their magic, or perhaps it’s the sense of love that comes from having your mother make you something special just before bed, but he drinks a few sips and drifts into a soft, sweet sleep. Lemon balm is a sedative, calming herb, traditionally used to treat sleep problems, nervousness and anxiety. A 2004 study conducted at the University of North Umbria in the UK found that adults who consumed capsules of lemon balm reported feeling calmer and less alert. Rose and lavender offer a clean, sweet, floral flavor and – like many flowers – offer sedative properties with rose traditionally held to support sleep and induce sweet dreams. Peppermint, fennel and licorice provide a soothing, pleasant flavor to the tea. Both are generally used to support digestion, and ease upset stomachs. Known for its sedative, calming properties, herbalists often include chamomile in sleep aids and calming teas, so you might consider adding it to your blend, too. I generally avoid it due to a cross-sensitivity with ragweed. Valerian and kava kava are both popular sleep aids, too, but I feel they’re too strong for small children. Many herbs can be grown in your own garden or in pots on your balcony. I grow lemon balm, peppermint and lavender; however, I purchase most of my herbs online through companies who source organic and sustainably wild-crafted culinary and medicinal herbs (check them out here). 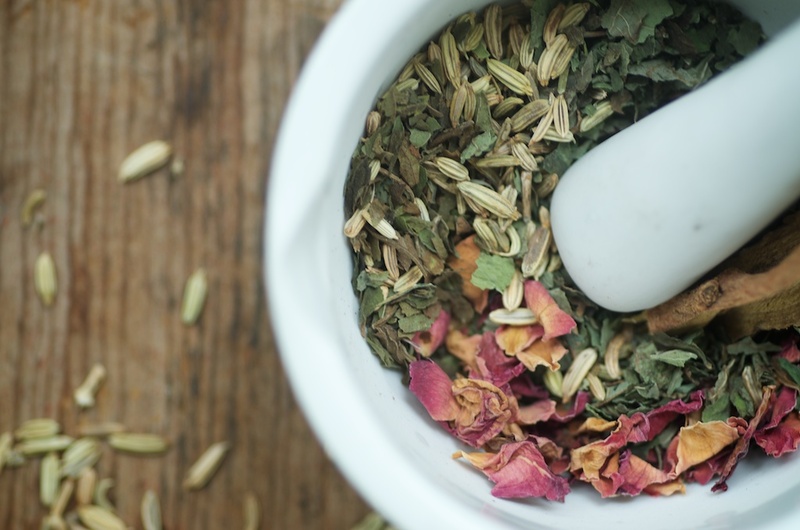 A soothing herbal tea of lemon balm, mint, fennel, licorice and flowers, this tea is a calming bedtime tea for small children (and grownups, too). If you're looking for a good source of organic and medicinal herbs for your homemade teas and tonics, click here. Strain and serve with honey and cream, as you like it. Thank you for posting this. Long ago I regularly made up such a thing (slightly different recipe, but same concept) and I had forgotten about it. I will enjoy having this around again. I used rosebuds and the mix itself was just so pretty and soothing to look at! Thank you for this post. I have a terrible sensitivity to ragweed and cannot use chamomile, so alternative recipes are appreciated. Would this be the best tea for inducing sleep due to menopausal issues, or would there be a more effective blend for that? I just experienced my first hot flashes last week (severe ones, according to my research) and sleep–good, solid sleep–has been elusive for many months already. Try a strong sage tea sipped throughout the day. So sympathetic. I hope the tea helps. I had symptoms this severe and only a Chinese herbalist seemed to know what to do. That is a lovely blend and a lovely ritual for you and your son. I’d also include linden, hawthorne and passionflower to the other options. I agree with you that kava and valerian are much too strong for kids. We love a mimulus infused honey added to our sleep teas for its added calming nature. I use the kashmiri green tea ( as I am from India ) its called kava/ kehva..very very light with cinnamon, cardamom and fennel.. i later add honey and some crushed almonds in the cup.. its soothing and yummy. My daughter likes it with no almonds but it helps her with very cold days and when she is a little sick.. This is a great recipe, i definitely plan on making it. Oh, love this post, not just for the tea, we love tea and making calming tea often. But for your mothering. I have been thinking of throwing classes for young/low income moms and have been exploring the idea of what a mother should be, what makes a happy mother, how a mother maintains control without stripping their children of personal power…your post evoked a wonderful mother story, embodying characteristics that I think are so valuable in a mother; patience, respect, love. I love that you give your son a “sacred” space to honor the day……thank you for sharing. I love the post too because of the wonderful mothering…and the sweet ritual. I love the ritual of tea. SOmetimes just slowing down to make the teas is enough to help us to unwind after a long day. Since my husband had some issues with panic attacks a few years ago, we have instituted an evening tea ritual. Often I use a Yogi Bedtime or a Tazo Rest tea, or a blend from Mountain Rose Herbals. They are all very delicious! I grow a native species of peppermint called Mountain Mint and it is delightful. I keep a jar of dried leaves and add several whole leaves to our tea: the fragrance is almost magical. Also, if there is a tea that is not so nice-tasting, just adding a splash of juice can often do the trick for the finicky palate. Some of the medicinal teas are not as tasty and I find better compliance with a splash of apple or grape juice added soothes the soul and the taste bud! Diane, I heard an MD say that almost all panic attacks are due to a magnesium deficiency. He recommended 700 to 750 mgs, if I remember correctly. Most people are magnesium deficient. I haven’t heard this, but will definitely look into it, because I also have some anxious tendencies. Yes, that is true. Magnesium is the calming mineral too. I also like nettle tea as it helps calm the adrenals. Lovely post. We too have a night-time ritual (that happens later on summer evenings). It can be challenging to settle all three down. I have been strating to experiement with more whole herb teas for myself, and I think it might be interesting to create a tea ritual for our evenings. A lovely way to end a day with your son, and transistion to dream-time. Yes, you have inspired me to make some changes in our evening routines, thank you. I’ve been making lemon balm and catnip tea for my husband to help him calm down in the evenings. I love lavender tea for tension headaches; I think I may start including it in the mix. We avoid chamomile here because of cross-reactivity too. Wonderful. I love all of these flavors. Do you dry your own lemon balm? If so, does it keep a long time? So sweet. I remember that poem too. 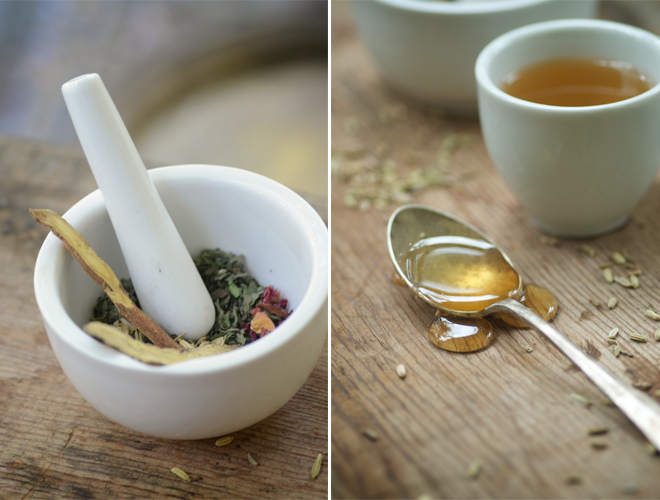 Our favorite herbs for a calming tea are Oatstraw, Passion Flower, Chamomile (we double this herb in our recipe), Catnip, and Lemon Balm. We use these to make our Dream Time blend. We add Valerian, Hops, and Lemon Peel ( to cover the bitter flavors of those two herbs) for a Nighttime Knockout blend for us adults! Would this tea be safe for a one year old? I love the idea of this! Another benefit of lemon balm that I accidentally discovered was that it seems to help at least some type II diabetics. I have experimented on myself and found that several cups of lemon balm tea throughout the day resulted in blood sugar levels 20-30 points lower the next morning, at least for me. Your post came at the perfect time! I have been thinking about tea as a nighttime ritual for my kids to help relax from our busy days and help cope with nighttime stress while my husband is deployed in Afghanistan. 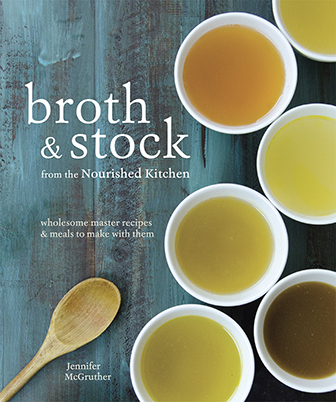 Your writing and recipes are so beautiful and inspiring. Thank you! Everything about this post is simply lovely, Jenny. ( I’m also pretty stoked to try the nighttime knockout for adults in the comments). Love this! Glad to know my kids aren’t the only ones kept up the solstice sun 🙂 Thanks for all you do here. 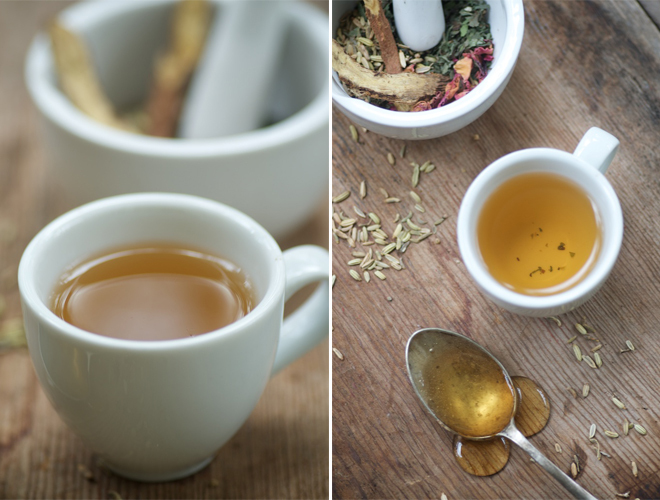 your routine is very sweet… and so is the thoughtfulness of making this tisane for your little one. We have similar moments in our household, very cherished. Oh, and thanks for the cook recommendations, too – can’t wait to read the Hughes with my 5 yo. Love reading your story about story-sharing, along with all the great mothers’ comments afterward. What a pleasure. Love this post, the tea and all the comments. I have some interested tea drinkers (some overtired ones at that) that would love this. So good to learn about magnesium & anxiety – must read up on that! Nice try on the sleep tea but you need to make a few changes. Licorice amount is too much. Licorice can increase blood pressure in people that have high BP. Also NEVER put milk in herbal teas. It is a definite no no from all herbalists. I am an herbalist for over 30 years. I am not trying to interfere, just trying to help. Teas are my specialty. Another note, a lot is not always better. Many times a simple herb is fine, or adding 2 or 3 more is ok, but Keep It Simple. One more thing, Water should just start boiling, remove from heat. Letting it “rolling boil” takes the oxygen out and reduces the strength of the herbs. And you don’t need a mortar and pestle. Just put the dry herbs in a tea pot, pour water over them, steep for 8-10 minutes. 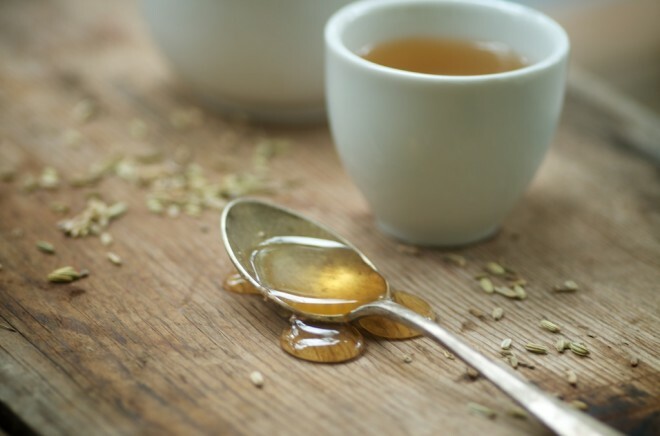 Strain and add honey if sweetness is wanted, drink about 1/2 before bedtime. Why is it not good to add milk to herbal tea? It’s fine to add milk to herbal tea. Don’t make the mistake of believing that certain people’s strong opinions have any actual base in science, tradition or reality. What kind of rose do I use? Any? Thanks so much for this wonderful recipe – I have one of “those” boys who is either going 150 miles an hour or sound asleep (but very rarely asleep). He is always asking me for my tea but I don’t want him to ingest all the caffeine that’s in it so I thought we would do this for a change in the evenings. Not only was this wonderfully calming for him but he felt so absolutely special to be able to have evening tea with mommy in his own special tea cup. I forgot to get the licorice root but it was delicious anyway – we’ll try the full recipe next time. I’ve read that lemon balm is bad for people with hypothyroid. 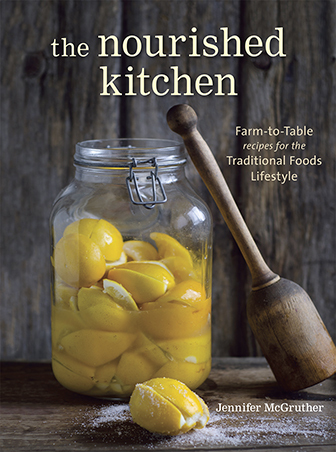 What are substitutions for the lemon balm? In Alaska we face the challenge of day ljght that last well after midnight! Getting the kids to sleep is a challenge all the time. but in the summer it is a far greater challenge. My twins start picking their own fresh rosehips as soon as they see them and we brew a simple herb tea using “their rosehips”. The magic isn’t in the berries, its in the fact they picked them just moments before. What is the best way to dry your own Lemon Balm? I usually tie mine up in a bunch and let the dry but I find the leaves do not hold that beautiful lemony flavor when dried. Am I doing something wrong? My daughter has adhd and I read that herbal teas like this are good for calming her at night. Thank you for your recipe and advice. I absolutely loved reading about the sweet ritual you have with your son. Good evening, I was just wondering how young can a child be to safely have this tea? Also, was there any merit in what that Naturopath said about the amount of licorice? TIA. Just remember to brush your kids’ teeth before they go to sleep if you are giving them a drink with honey. Even milk if drunk at bedtime can cause the enamel on young teeth to erode resulting in cavities, so sweetners such as honey needed to be completely removed from your child’s teeth before they go to sleep. Yes, I imagine so! I’d use it within a week. I have a few questions as I am very interested in trying this! How much tea does this make? Sounds like about 1/2 gallon? Trying to gauge herb to water ratio. Also, if you make it in that quantity, do you refrigerate the rest? Serve it cold or hot? I have most of these herbs to excited to try it! I have a bunch of lemon balm from my mother in law who gave me some to plant years ago. Plus you can also use it in lemonade yummy I’m going to try this soon.